Recently we covered some of the Best Firefox Extensions To Make Facebook Awesome, which was generally loved by the Firefox-using Facebook crowd. 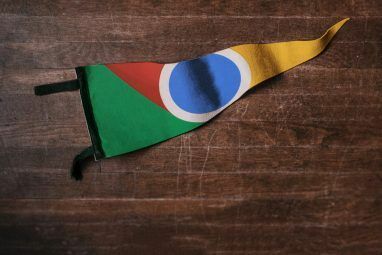 Today, we’ll check out the other side of the coin and give Chrome users a taste of some sweet Facebook customisation. Today’s extensions will cover notification pop-ups, photo zoom tools, hiding updates you don’t want to see, easy ways to clip and post to Facebook, and a neat way to clean up your Facebook so you only see elements you care about. Once you’re done setting up these extensions, Facebook will be forever changed for you. If you’re a regular chatter on Facebook and tend to keep a tab open at all times, you may occasionally find yourself engrossed elsewhere and missing a chat message. The Facebook Chat Notification extension will help you by popping up a notification so that you see it regardless of what you’re currently viewing in Chrome. Whenever you see a thumbnail or small photo in a news feed, the Facebook Photo Zoom extension will let you zoom in on it. No more clicking through just to see details or to view what was cropped out. If you like the Facebook Zoom idea, but you also use sites like Flickr and Reddit, you might want to try the Hover Zoom extension instead. Why limit yourself to just Facebook? Now, if the folks at Reddit and the makers of this extension are to believed, many people are keen to rid their news feed of baby photos. If you’re one of these people, install the Unbaby.me extension and you will instead see cars, cute animals and other awesome stuff in place of the baby photos. If you hate to miss updates on Facebook, you can have a notification icon brought into your Chrome toolbar using the Facebook Notifications extension. It’ll let you know when there’s a notification or message waiting for you, then with one click you’ve got access to them. The Facebook for Chrome extension is the more feature-packed version of Facebook Notifications. It lets you view notifications as above from the toolbar, plus it lets you post from the extension, right-click images on any website and post directly to Facebook and more. If you’re sick of Facebook suggesting that you ‘friend’ your ex’s new partner, or just generally sick of seeing things you’re never going to click on, the Facebook Cleaner extension will help. Facebook Cleaner gets rid of suggestion boxes and some of the ad boxes. Brought to you by the makers of Unbaby.me, the Unpolitic.me extension will replace posts about politics with pictures of awesome stuff, like cats. This extension was really popular during the last US election for some reason. Even if you’re a chrome user, you might still like to check out the Best Firefox Extensions To Make Facebook Awesome as a few of those extensions are available for Chrome also. 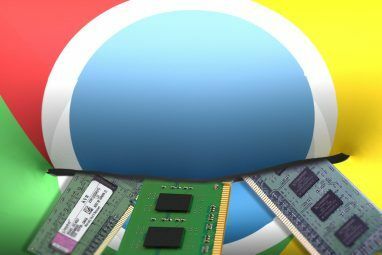 While you’re browsing MakeUseOf, be sure to check out the Best Chrome Extensions page too. 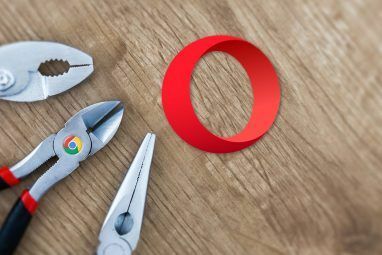 You’re bound to find more great tools to make your browser perfectly customized. Please note, while you’re getting excited about Facebook extensions for Chrome, that there is a scam going around for a Facebook Red extension which will access your data and use your friends to spread the scam. Don’t fall for it! Which Chrome extension for Facebook could you not live without? I have used some of the extensions and now i feel like i can't browse without them since they save a lot of time.